The EDGE series is pretty unique. This is something I truly believe can help children and young adults for generations to come. Book smarts and good grades are important but LIFE skills are equally important. As i mentioned in earlier posts, I wish I knew some of this stuff as a child! Chris Brady did it again. For months, he kept a torrent pace of emails, phone calls, and in-person meetings to influence me on the importance of LIFE skills training for youth. The results of his efforts have blown us all away. The Edge Series alone is surging past 6,000 subscribers! In fact, many of the kids are earning the money and paying for their own subscription. How do I know this? Because anyone 12 years old or above can attend a LIFE event, and the amount of adolescent boys and girls attending seminars has increased dramatically. Leadership and life skills are crucial in a person’s life. Why wait until after the school years to realize this? Why not give your kids an EDGE? The first EDGE is parents who model the right behaviors, and the second is the Edge Series delivered directly to the home of hungry kids wanting to learn the principles of success. Packed full of stories from the successful men and women in the LIFE business, along with exclusive interviews with top names in athletics and business, the Edge Series has become one of the favorite products in LIFE. 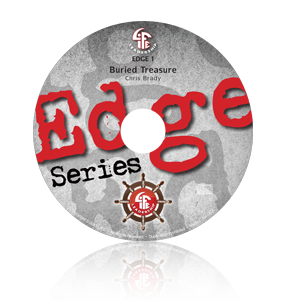 What the Mental Fitness Challenge is to adults, the Edge Series is for youth. A huge thank you goes to Chris Brady and all of the speakers who have made the Edge Series what it is. Below is a video that describes the Edge Series. “If I only knew then what I know right now!” How many older people have had these types of thoughts? If the principles of success and winning could be learned at any age, why do so many people not learn them until much later in life, if at all? Why shouldn’t the principles of massive success be available to anyone at any age? After all, there is no age limit on success! That’s what the EDGE series is all about! Designed especially for those on the younger side of life, it is a hard-core, no frills approach to learning the things that will make for a successful life. You will laugh, you will cry, you will totally have fun. Featuring successful businessmen and women, authors, entrepreneurs, and even professional athletes who deliver true stories of success, the EDGE series will give anyone a head start on living a happy, fulfilling, successful, and meaningful life. Eliminate the noise around you about what you are and who you should become. Instead, figure it out for yourself in a mighty way with life-changing information from people who would do just about anything to have learned these truths much, much sooner in life! It may have taken them a lifetime to discover these truths, but what they learned can be yours now on a monthly basis.